The 4.5 hour Level 1 online prerequisite course and two-day live seminar teaches students the fundamental concepts of the Body-Swing Connection™; how many of the most common swing characteristics and loss of swing efficiency are directly connected to how the body is functioning. 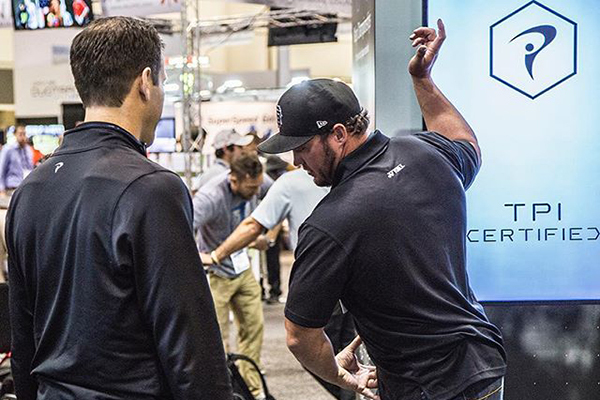 Students learn TPI’s physical assessment screen, how the screen results are connected to swing characteristics, and drills and exercises to get clients back on track. At the live seminar, students take what they’ve learned online and apply it in real life cases to become proficient and confident. *Check the seminar schedule to confirm price in the location near you. 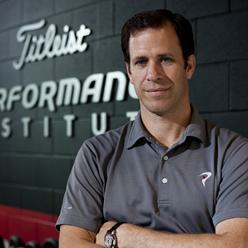 TPI’s Level 1 online prerequisite course is taught by TPI co-founders Dr. Greg Rose and Dave Phillips. The course begins with a discussion on why the nature of golf instruction has changed and why it’s so important to include physical assessment and conditioning as part of a player’s performance plan. 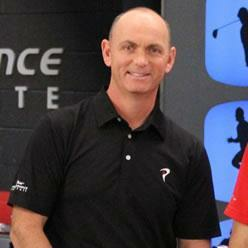 Dr. Greg Rose takes the student through TPI’s philosophy of the golf swing and introduces 3D biomechanics. One of the fundamental concepts of the Body-Swing Connection™ is interpreting the kinematic sequence to determine swing efficiency. This section of the course leaves the student with a clear understanding of how the body efficiently generates power during the golf swing. 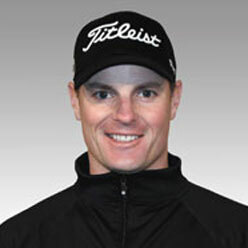 In this section, Dave Phillips explains and demonstrates the most common swing characteristics TPI has identified in the world’s top players and amateurs alike. 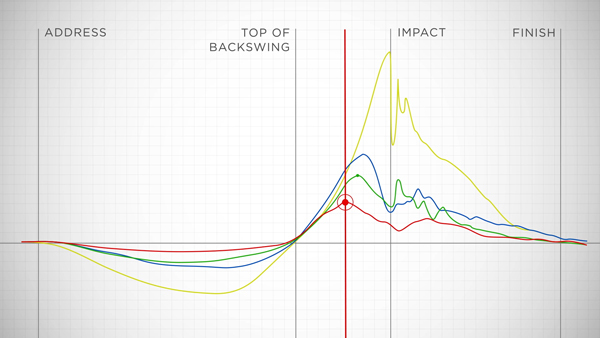 Being able to identify how certain swing characteristics are directly connected to physical characteristics such as instability, lack of mobility or weakness is the core of the Body-Swing Connection™. 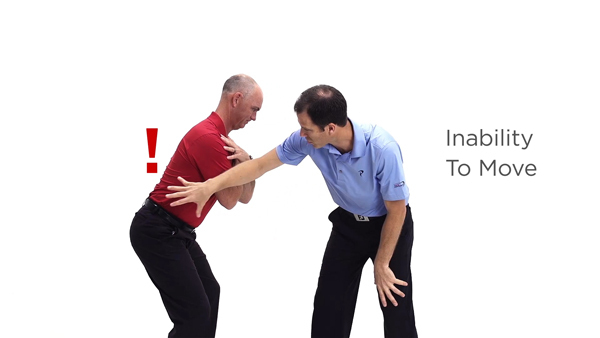 Learn how to take a golfer through TPI’s physical assessment screen and identify limitations in the body that may be affecting the player’s golf swing. This sixteen-part screen is simple, quick and the foundation for all higher-level courses of study at TPI. 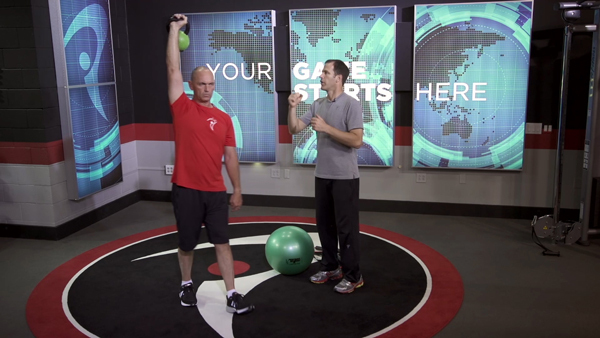 The TPI physical screen is the fundamental concept that changed the course of the golf fitness industry and what it means to be fit to play golf. Learn corrective drills and exercises for those players who failed any of the rotational assessment screens. Learn corrective drills and exercises for those players who failed any of the flexion or extension assessment screens. Learn corrective drills and exercises for those players who failed any of the stability assessment screens. At the Level 1 seminar, students spend two days learning how to apply what was learned in The Body-Swing Connection online class through hands-on practical application. TPI instructors work with students to demonstrate how to become proficient in the TPI physical screen and how to integrate these assessments into your coaching, training or rehabilitation practice. Students learn the value of the TPI team approach by working directly with other golf, fitness and medical experts in real life body-swing evaluations. For many students, they leave the Level 1 workshop deeply embedded into the culture of golf fitness while having developed new lifelong friends and business associates. During the first day of the Level 1 seminar, students will gain a much deeper understanding of the Body-Swing Connection™ by observing how we evaluate a player at TPI using the Level 1 physical assessment screen. TPI instructors lead students in a thorough discussion of each Level 1 assessment screen with multiple examples of what to look for. Students then breakout into small groups to practice each assessment screen in order to obtain proficiency and comfort with the assessment protocols. The second day of the Level 1 seminar is all about mastering the Body-Swing Connection. 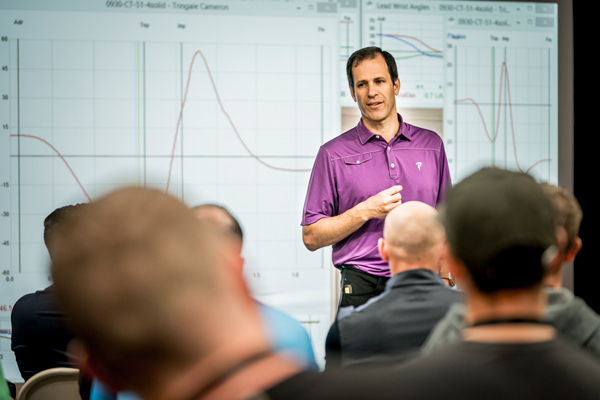 TPI instructors take students through a detailed analysis of the Big 12 Swing Characteristics and kinematic sequence while students practice filming and identifying actual golf swings. Students are then shown exercise and drill corrections to attack restrictions or issues found during the Level 1 physical assessment screens. In the final session, TPI instructors discuss building your business, marketing ideas and advanced Level 2 certification options. PGA Professionals (Great Britain & Ireland) will be credited with 80 CPD points as part of the PGA’s Member Education Programme (70 CPD points for the online course/seminar and 10 CPD points for successfully passing the test). A Certificate of Completion and confirmation of assessment must accompany any application for CPD points. 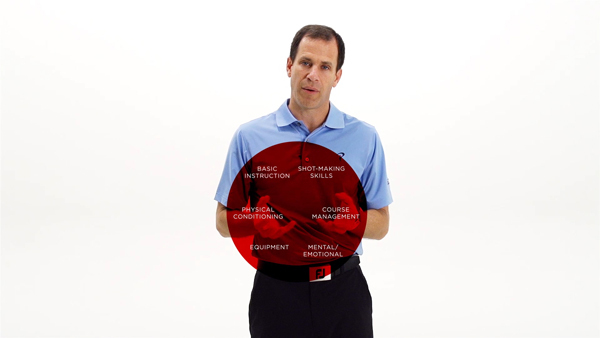 The American Council on Exercise has approved the TPI course, Level 1 Body-Swing Connection, for 1.20 Continuing Education Credits. Upon successful completion of the course, enter CEP171665 into your MyACE account to redeem CECs towards your ACE certification. 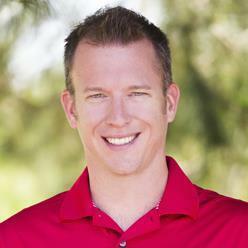 Eligible chiropractors can claim 13 continuing education credits. 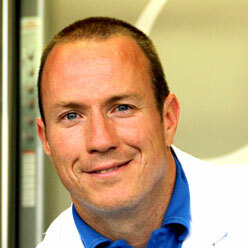 Continuing education credit (CE) is administered by Life Chiropractic College West (Life West). Approved states and provinces as of 1/30/19 are: AK, AZ, BC, CA, CO, CT, DE, DC, FL, GA, ID, IL, IN, IA, KS, ME, MD, MA, MB, MI, MN, MS, MT, NB, NE, NH, NJ, NY, NC, ND, NS, OH, ON, OR, PEI, QB, QC, RI, SC, SD, UT, VT, VA, WA, WY. If your state is not currently approved, please contact Life Chiropractic College West directly at 510-780-4508. Registration with Life West is required to obtain CE credits. All students who successfully pass the Level 1 examination will receive a TPI Certified Level 1 designation.